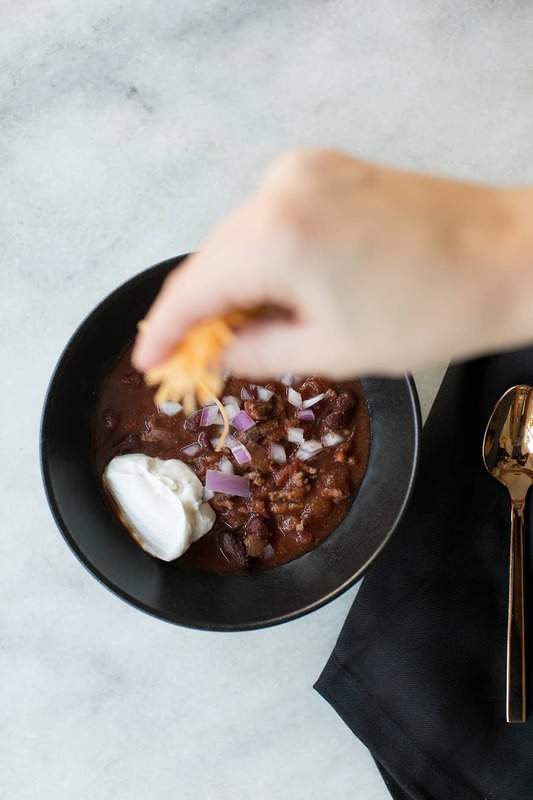 This recipe is the best slow cooker chili recipe! 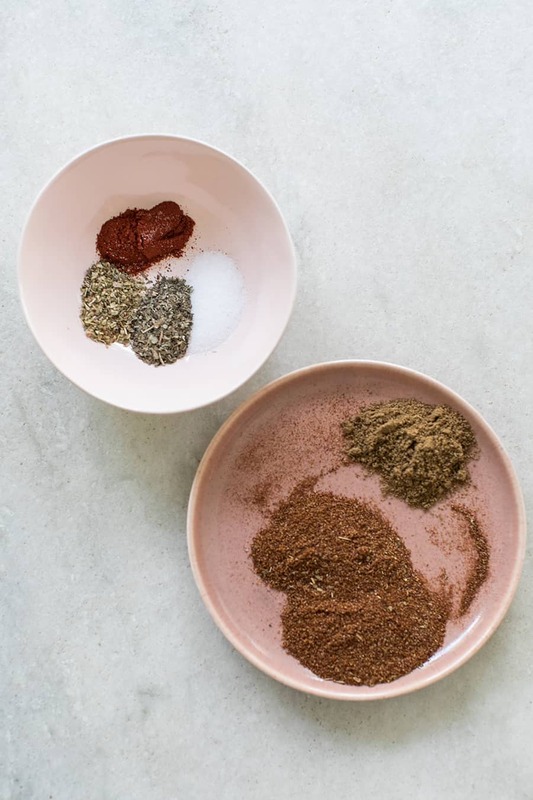 It’s made with so many spices, and even a little wine, giving it a rich and very flavorful taste! 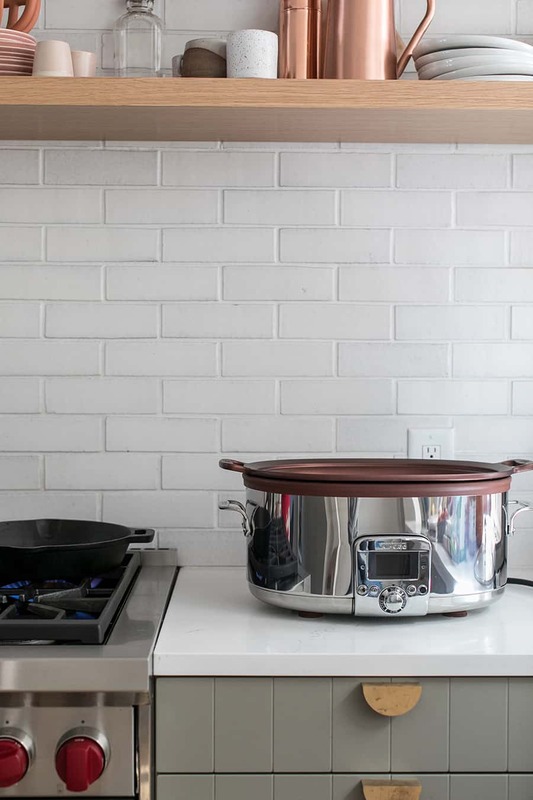 Starting in September, my slow cooker pretty much lives on my kitchen counter. I love the ease of prepping everything in the morning and then having it cook all day. The aromas that fill the house are as good as it gets! 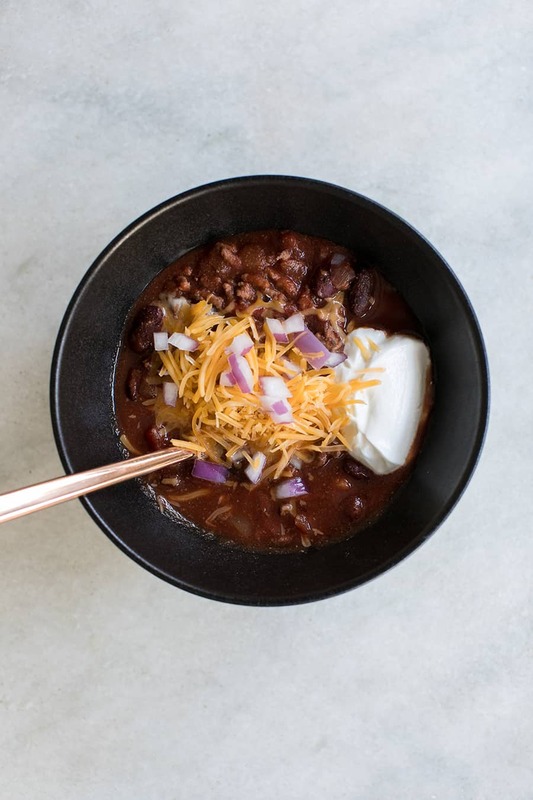 Chili is one of the recipes we make all season long. This recipe is rich in flavor with six different spices, garlic, onions, wine and Worcestershire sauce. 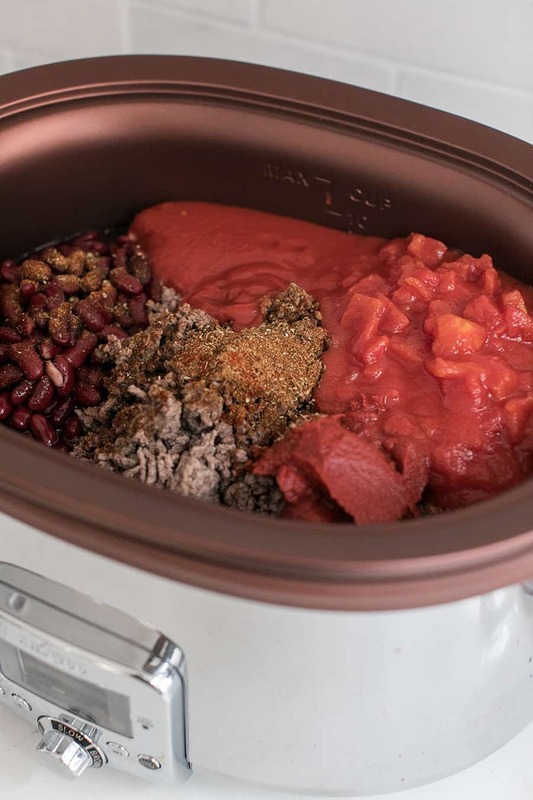 I use my All-Clad Slow Cooker which is great for making large batches when entertaining. It may be the most beautiful and charming slow cooker out there too. 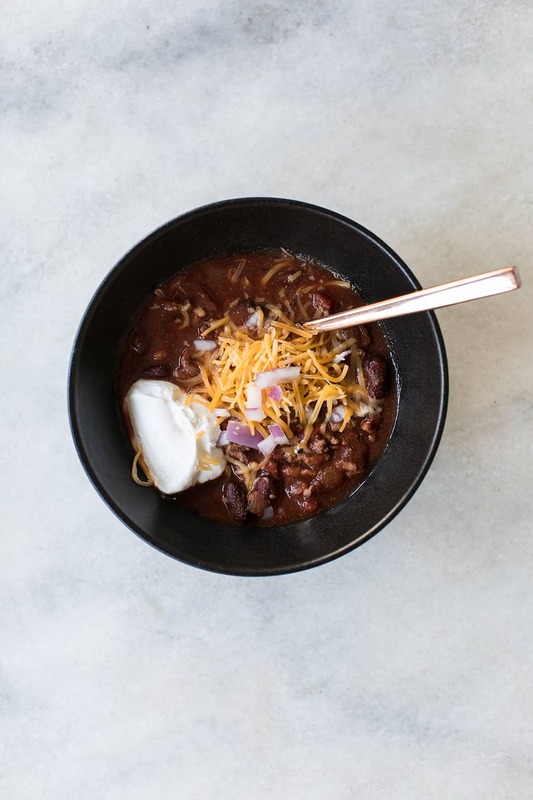 Six delicious spices and three varieties of tomatoes go into this chili recipe. It’s so good!! For the toppings, add sour cream, shredded cheddar cheese and chopped red onions. Let us know if you make this recipe and how you like it! 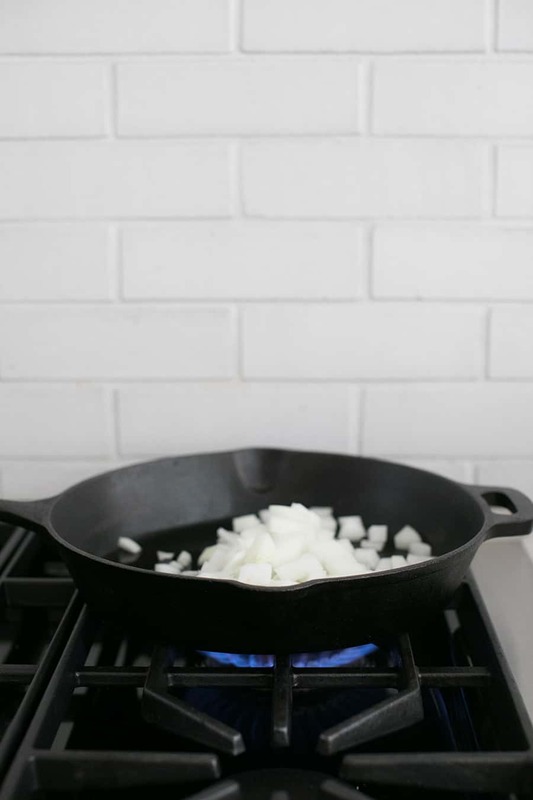 Saute onions and garlic in a sauce pan until onions are translucent. Add to the slow cooker. In the same sauce pan, brown beef in 1 cup water, save juice! Place beef and juice in the slow cooker. 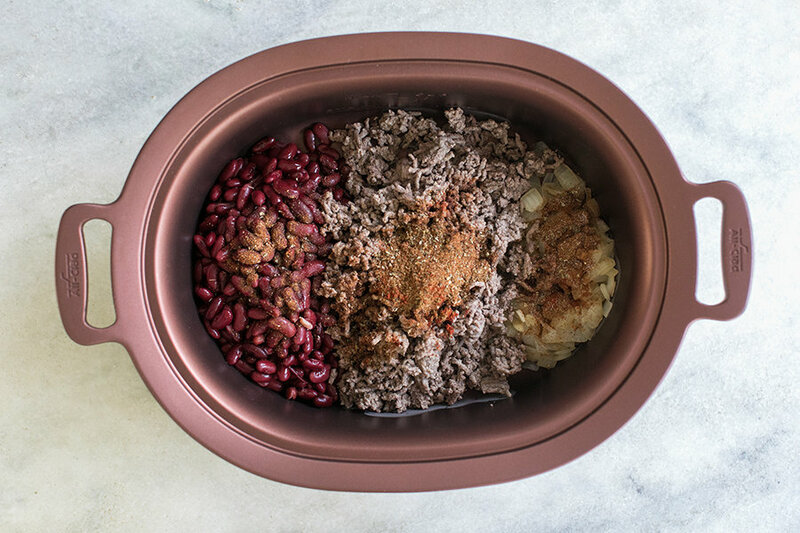 Add the rest of the ingredients in a slow cooker and cook on low for 3-4 hours.